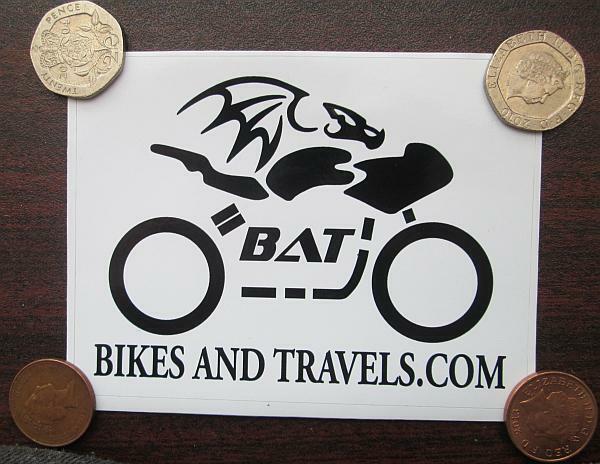 At long last Ren has finally pulled his finger out and organised some BAT stickers featuring the amazing and strangely popular logo that Sharon created. You can have your very own sticker for the princely sum of (just?) �3 in the UK and �5 for international! Why so much? Postage, time, hassle etc etc etc. Why so cheap? We understand BAT readers worry about fuel consumption as much as Ren does so they can't afford to spend a fortune on stickers.